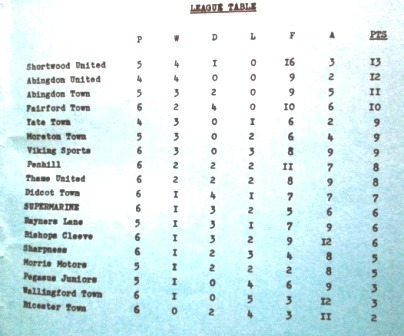 Rick Astley was spending a second week (it would stay at No.1 for another three) at Number one with ‘Never Gonna Give You Up’ and before Wallingford’s Channel Islands trip to Guernsey to play Vale Recreation FC for the FA Vase Preliminary Round, they played Supermarine AFC in the Extra-Preliminary round. Wallingford played in Red & Black Stripes with Black Shorts and socks. 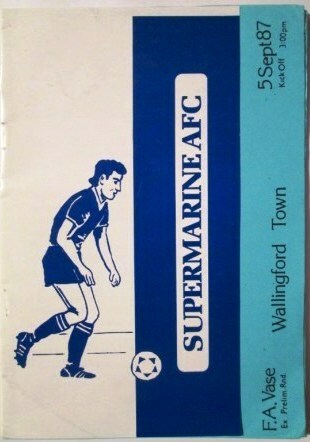 Wallingford’s league fixtures against Supermarine AFC were due on Sat 5th March at Home and Away on Sat 26th March, with the Reserves due to play Supermarine Reserves at Home on 5th March at 3pm. 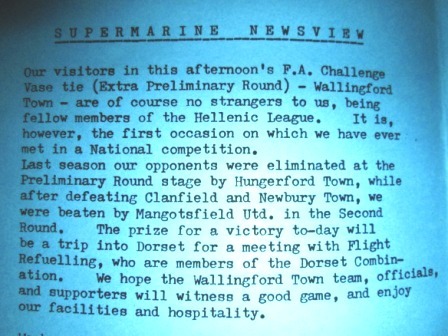 The match programme reports that Wallingford Town had beaten Pegasus Juniors 1-0 in the league at Home the Saturday before (29th august 1987) and on Monday 31st august had lost their league fixture at Home to Fairford Town 0-3. DUG-OUT-NEWS mentions that ‘New Manager’ Charlie Allum scored the winning goal against them last season with the fixtures between the clubs always close.